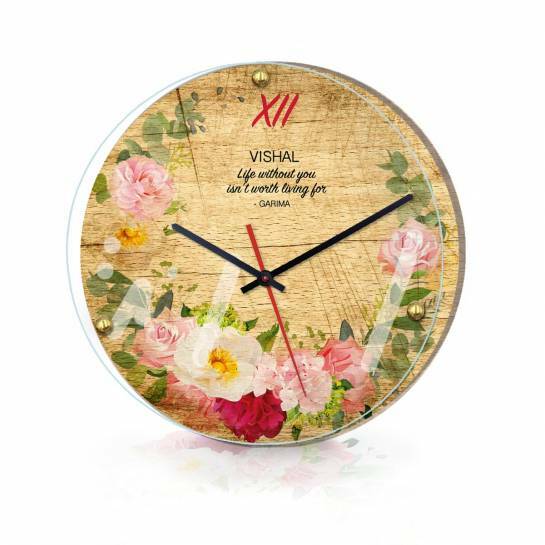 Its a very unique and stylish vintage look personalised wall clock. Add a name and a message, and gift it your loved one, on any special occasion. The raised transparent protection to the clock, adds to the style and make it stand out!